Eat Original! Unmask your food! Slow Food supports and promotes the European Citizens’ Initiative (ECI) calling on the European Commission to impose mandatory declarations of origin for all food products to prevent frauds, protect public health and guarantee consumers’ right to information. it’s time to think to Slow Food International Annual appointment. is organized in collaboration with the Regione Piemonte and City of Turin, will be held from September 20 to 24, 2018, in Turin, Italy. TERRA MADRE – Salone Del Gusto 2018. Looking forward to meet you there. Let us recall the value of CZ gastronomy and how we have changed since the time of the Republic. With Petr Horou Hořejš, the author of the Toulky cycle of the Czech past, Slow Food Prague created a program that introduces the audience to our ancestors. What, where, how, and how much did they eat? We look back and learn how they shared a common table of the poor and the rich who ate on a street in Prague or in a mother’s home. history of the stomach ‘s accent on eating together (restaurants, cafes, factory canteens, groceries for the poor, food on the street …). Thematic ensembles will complement musical performances (period songs, cuplates, Hašler’s songs, etc.) by the Pragtet ladies vocal-instrumental trio. The narrative will be accompanied by the screening of historical photographs, documents and pictures. For each viewer we have a little surprise at the end. More info in teh CZ page. Saturday 24th March 2018 – Traditional spring baking event. 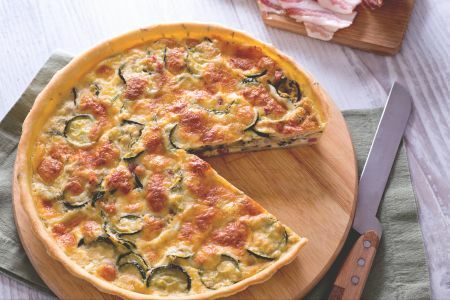 We invite you to join the competition with your traditional spring baked recipe. 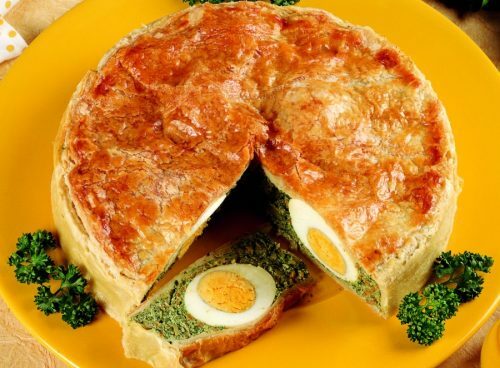 Savory pastries will be tasted and evaluated by the visitors of the market. The winner will be rewarded with a great prize. Join us, participate and WIN! We are looking forward you! Ancient Italian Recipe (1300) still in the Easter tradition. 1.Mix the cow’s ricotta with 20 grams of grated Parmesan, an egg, a grated nutmeg and a pinch of salt. Make a cream and let it rest in the fridge. Boil the spinach, squeeze, salt and drain. Heat the oil in a pan and garlic and add the spinach. Let them cook few mns and extinguish the fire. Let cool and transfer them on a cutting board to make them into small pieces. In a bowl, mix them with an egg, 50 grams of Parmesan and a nice grating of pepper, mixing everything well and obtaining a soft cream. 2.Line a hinged baking pan with baking paper and lay on it a first plate of brisé dough. Punch holes the base of pasta with a fork to avoid that, in cooking, bubbles may form that would ruin the recipe. Fill it with the cream of spinach and level it well, avoiding empty spaces and air bubbles. Add the ricotta cream and spread it on the entire surface of the Pasqualina cake. Create four holes on the surface of the ricotta cream and slide four shelled eggs, after separating the egg yolks from the whites. Cover with the second brise paste. Close the edges of the pasqualina cake so that it does not open during cooking. Brush it with egg and cook in a preheated oven for 40 minutes at 180 °. Would you like to find the taste of CZ Country (local high quality milk) in the world famous art of Mozzarella? Join us and the Master of Mozzarella Art. Slow Food Prague Educational Program – Cook with Us! 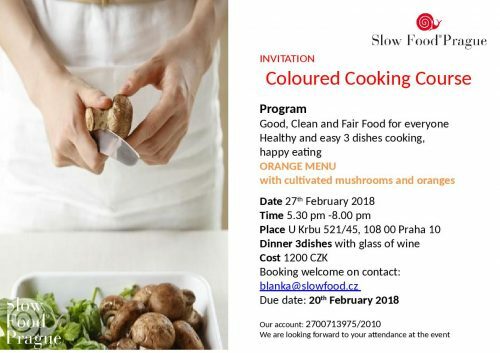 The Slow Food Prague Educational Program invites you to cook with Us. Monthly Appointments to cook a seasonal and healthy menu. We are happy to announce you the new Slow Food Educational Program. Starting from February a Monthly Appointment to cook all together, have more information about local, healthy and seasonal food. More info in the CZ Page or please contact ele.testa@slowfood.com Invito Cooking Course.